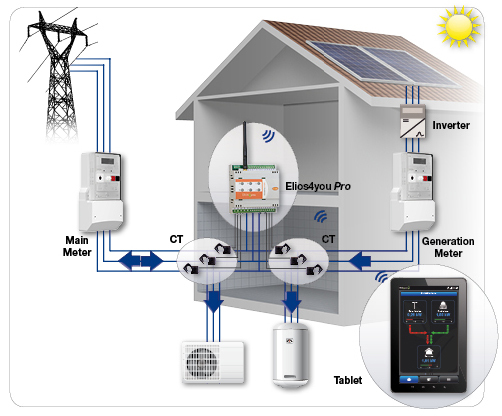 Energy+ introduces the Elios4you, the intelligent way to monitor your photovoltaic system, suitable for net metering and feed-in tariff customers, on mobile devices or/and tablet by a free smart application anytime, anywhere. Optimise your energy production, reduce your energy consumption and get lower electricity bills. 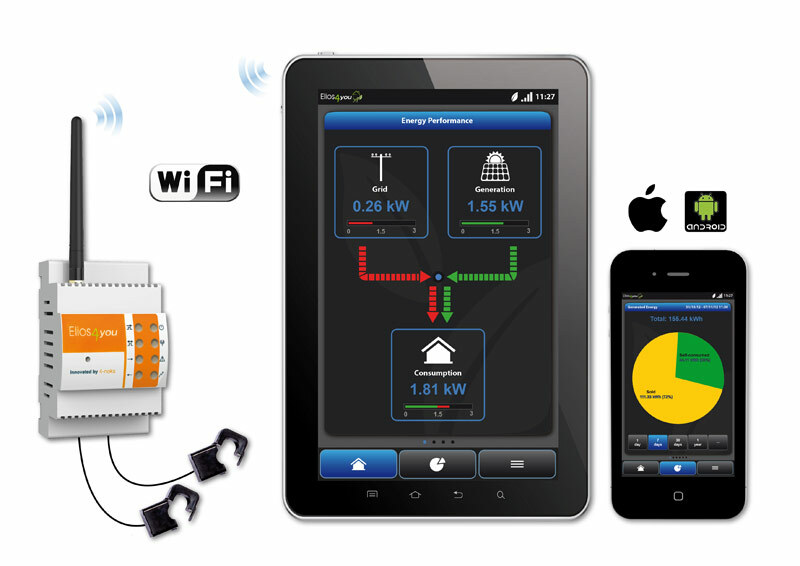 An innovative way to optimize self-consumption and monitor PV installations via a smart App, developed by 4-noks. Real-time data is made available on any mobile device (tablet or smartphone) or PC easily accessible anytime, anywhere. Elios4you is part of the fusebox wiring at home; with two CT’s it measures the electricity generated, the energy purchased from and sold to the grid and household consumption in real time. The data is transmitted wirelessly to a Tablet, Smartphone and also to the broadband router, which uploads the data to 4-CLOUD*. Elios4you is the perfect solution for obtaining real-time data on any device anytime, anywhere and anywhere.